Ghostfish Brewing is a dedicated gluten-free brewery in Seattle, WA and Ground Breaker Brewing is a dedicated gluten-free brewery in Portland, OR. These two breweries swept the awards in the Gluten Free Beer category at the 2015 Great American Beer Festival®. 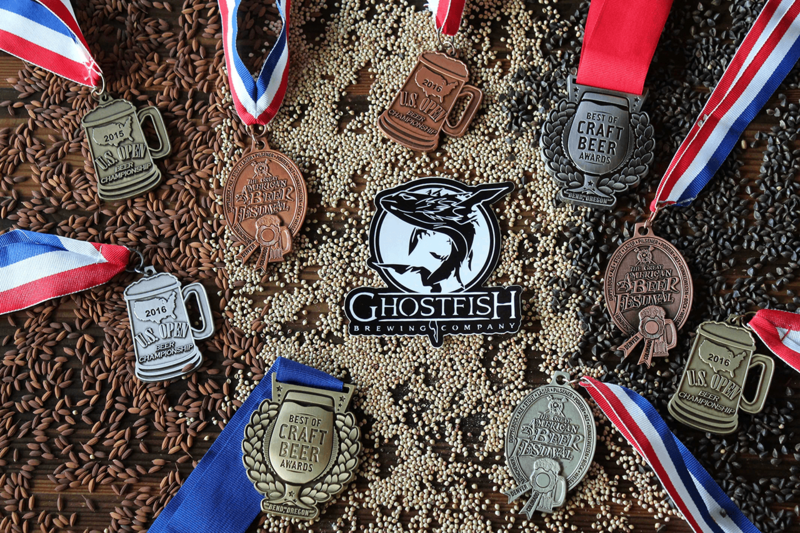 The gold medal went to Ghostfish Brewing’s Watchstander Stout, the silver medal went to Ground Breaker’s IPA No. 5, and bronze went to Ghostfish Brewing’s Grapefruit IPA. Unlike breweries that produce so-called “gluten-reduced” beers, Ghostfish Brewing and Ground Breaker Brewing are in complete alignment in the adherence of using 100% gluten-free ingredients in dedicated facilities to create their beers. “There are no ‘omitted’ risks for Celiacs drinking our beer; we are 100% committed to 0 PPM, start to finish” says Jason Yerger, brewmaster at Ghostfish Brewing. “We strive to bring the craft beer experience to the gluten- free community. Serving these three top-rated beers in our dedicated pub is in the spirit of that very mission,” remarked Neumeister. Ground Breaker Brewing Company 715 SE Lincoln St.